It’s true. If you don’t believe me, take a look at something that has been happening in schools across America. 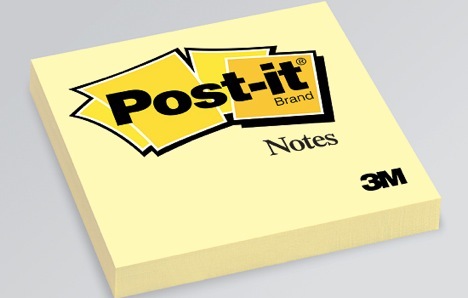 It has been occurring without much fanfare, sometimes totally anonymously–and in today’s instant, know-all, digital sent, shared, liked and ‘friended’ age; that is quite remarkable when one thinks about it. Out in Webster, Monroe County New York is a public high school called Webster Thomas High School. Pretty much your normal, everyday, average school that most kids know. However one evening someone wanted to make it something unique–for everyone. 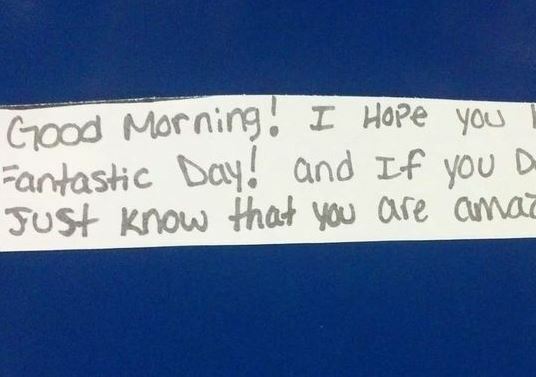 Using a handful of sticky notes, someone went out and wrote a short, yet sincere message for each and every student and then stuck it to the front of their school lockers. Imagine that–? 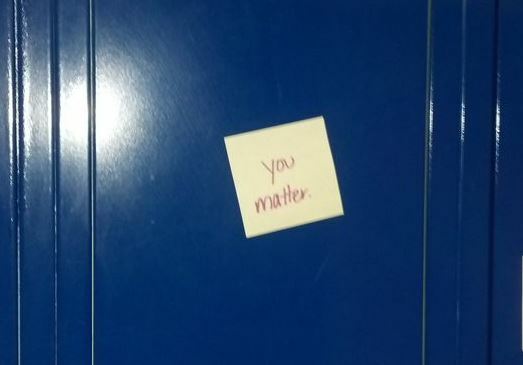 Spending who knows how long, writing a short note on literally hundreds of sticky notes and then moving down the school hallways placing one on each and every locker so that no student went without an uplifting thought as they began their day. 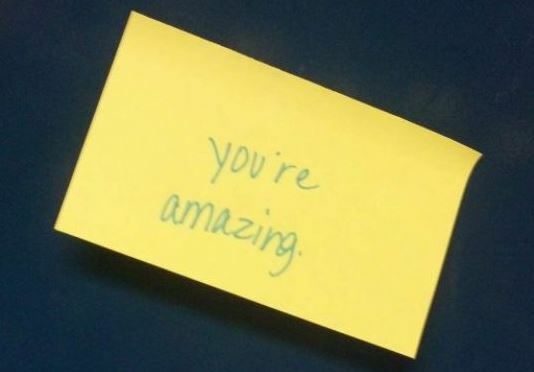 According to the report, three Webster Thomas High School students, who prefer to remain anonymous, planned and coordinated the exercise in kindness–one of which will certainly have ripple effects to come. Again? What could you do with one cent? How can one thin sheet of sticky note paper perhaps change the world, if not the person whose locker you stuck it onto? Apparently lots–and well worth the cost of time, and sticky notes. 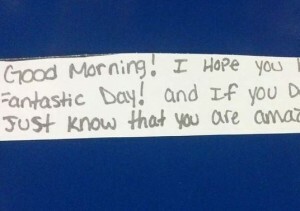 …profound thoughts from a bunch of young teenagers at a high school.